Street Boots Only There are 21 products. The RAZORS Genesis coming back in limited edition with colors kit. 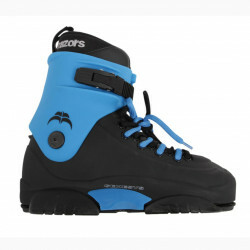 The RAZORS SL Black Boots is perfect for street and skatepark, comes with quality components at an affordable price! THEM Skates, Jon Julio's brand, dedicated to freestyle skating.